Brown hair is back in Fashion! it all goes back to naturals, so if you're natural brunette - lucky you! 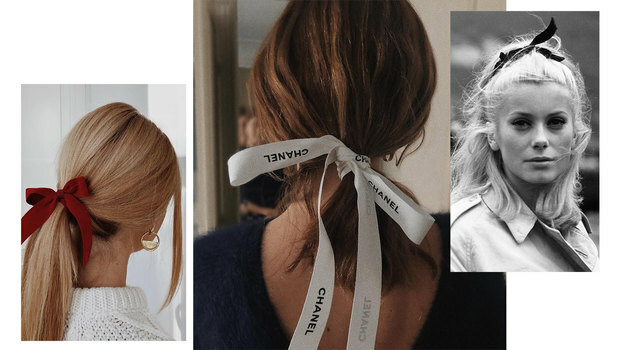 modern french girls showed us how to style hair in lazy manner, and we all loved this eternal image. Cocoa, Chocolate, Brown Sugar, Chestnut, Cinnamon, Honey colored - call it as you like, find your shade and most importantly take care of your hair's health, bleaching to platinium blonde and mixing in pink and grey hues surely done enough "trendy" damage. bright Yellow and wet Pink eyeshadows are trending thanks to Margot Robbie, Rihanna and other daring celebrities. tecnique is quite simple, make-up artists suggest to perfectly even face tone and under-eye area, and then try and experiment with colors and textures! Trend: leather midi skirt probably is that magic piece in your wardrobe, which is able to fully transform even simple jemper to trendiest outfit! while you wont be sorry to pay $$$ for this leather piece of designer work, as for sure it will be back in fashion again for next season. Clare Waight Keller hosted the show for Givenchy Haute Couture Spring 2019 in empty galleries of the Musée d’Art Moderne de la Ville de Paris. probably she designed huge bows in the spirit of Kate Middleton. collection began with a black jacket paired with latex leggings and was followed by colorful fringle dresses and crystalized white gowns, as models wore pearly-headbands and glitery makeup. 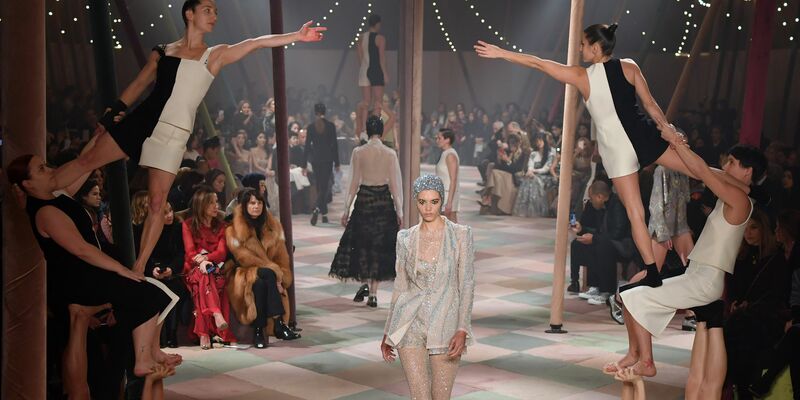 Designer Maria Grazia Chiuri held Dior's spring 2019 Haute couture collection in the Circus! Chiuri used traditional circus elements and Harlequin-inspired diamond patterns, sheer blouses with ruffly clown collars, brocade jackets with chinese buttons, metallic pleated gowns looked really Oscar-ready with jewelled headpieces. Circus was not left by acrobats and dancers! Pierpaolo Piccioli gave us floral euphoria in his Valentino spring couture collection. couture is as modern as the women who wear it, said the designer and refused to modernize the collection. Pat McGrathhad did marvelous job creating butterfly winged lashes for Valentino, Naomi, Natalia Vodianova, Liya Kebede, Kaia Gerber and other legendary and famous models walked in this Valentino's Edem Garden. collection was created in nostalgic and antisocial mood. accessories include anarchy symbols, VHS tape, sticker-covered phone cases, messenger bags and graphic sweatshirts with kinda stupid and funny phrases and niche references. in Milan and London, shoot during the fashion weeks. we wont bore you with nominees of 76th Annual Golden Globe Awards (of 2018), but introduce you to the red carpet of this marvelous event! Best dressed celebrities of the evening. 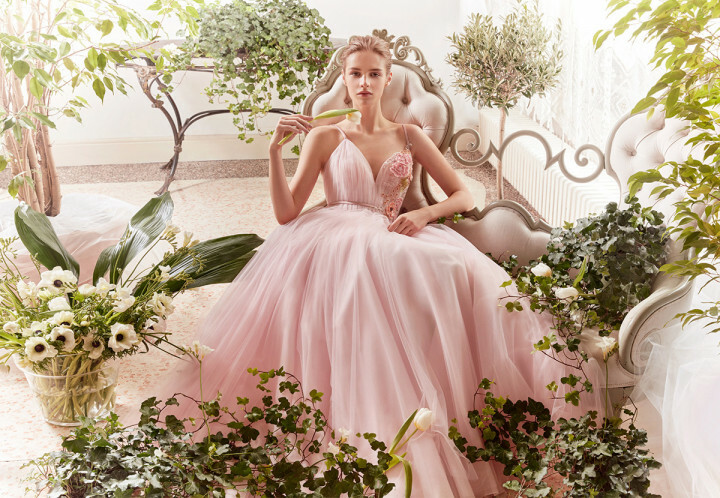 BLUMARINE debutted wedding gown collection SPOSA for 2019.
designer of the Italian brand Anna Molinari took inspiration from Giovanni Boldini's art. few of the best shows of Paris Haute Couture, spring 2019 season. Viktor and Rolf amazed us with witty humor: quoted colorfull gowns, Iris van Herpen with laser cut gowns, Schiaparelli with feather and embroidy, Alexandre Vauthier made us think podium was seen throu kira-kira filter; Karl Lagerfield was all into brands archives, but could not attend Chanel's show, while it was first show for Olivier Rousting - made for Balmain. 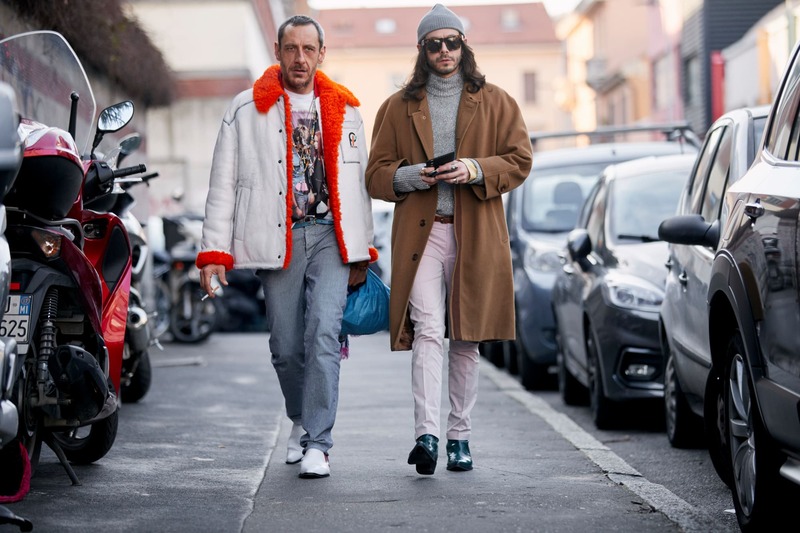 best dressed guests at Paris Haute Couture shows, january 2019.
guests were rushing at Dior, Chanel, Zuhair Murad, Elie Saab, Givenchy.. and other legendary fashion houses shows, event the snow made the great background for Paris street style photos.